There wasn’t a childbearing house in the neighbourhood that didn’t own Hybrid Theory. Its grey and burgundy artwork was as iconic as they come, burning itself onto the retinas of every hair-gel-glazed youth on either side of the Atlantic. With Hybrid Theory, which is the 21st century’s top-selling debut album by a band, Linkin Park became a badge of honour – a stepping stone away from the shiny pop of the radio; proof that you were leaving childhood behind. Growing up in British suburbia in the late 90s was confusing. New Labour had brought hope to the middle classes, terrorism was a word for politicians alone, and there was seemingly nothing left to kick back against. It was a frustratingly lacklustre time to be dealing with pre-pubescent angst – when your biggest problem is Kerrang! being out-of-stock come Wednesday afternoon, where do you rebel? 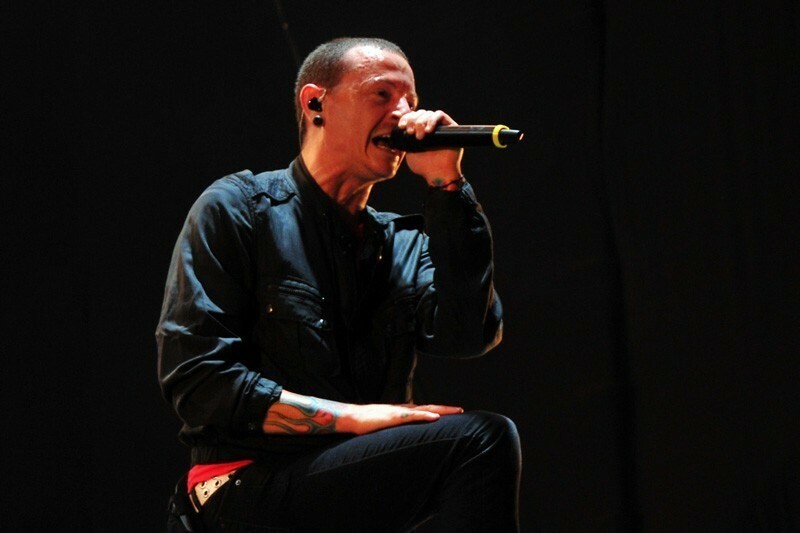 Linkin Park’s omnipresence throughout the schoolyard helped to articulate those turbulent, internal early years troubles, and Chester Bennington’s iconic scream was integral to that. The frontman’s untimely death leaves behind a legacy that helped millions come to terms with those confusing new emotional discrepancies. Paired up with his partner-in-rhyme Mike Shinoda, they united everyone under a nu-metal banner that didn’t quite exist yet. The rap kids became rock kids; the rock kids became rap kids. Everyone screamed “shut up when I’m talking to you” at their respective figures of hate. I still recall papering my bedroom wall with a blood red LP poster that scared me shitless. Tickets bought a year ago to an S Club 7 arena tour had to be fulfilled, despite my swift heel-turn on pop music – I wore my far-too-large Hybrid Theory hoody as an act of protest. I made my mum very aware that I planned to copy Bennington’s flame-wrist tattoos the second I turned eighteen – she smirked. Seventeen years on, my 25-year-old wrists are very much unadorned. Linkin Park were the defiant group I needed to be a part of at that moment, and Chester Bennington was their untouchable leader. I could never spike my hair up quite like his, no matter how hard I tried, and how much wet-look gel I decanted. The first true rock icons of the ‘millennial’ generation, Chester Bennington and Linkin Park became a gateway for countless young kids, opening their eyes to a world outside of the radio and away from the banality of the everyday. The sounds on Hybrid Theory and its chart-bothering follow-up Meteora felt unlike anything available elsewhere – jarring, furious and packed with angst, they gave a whole generation a means to articulate feelings otherwise ignored by the mainstream. Without them, rock music would not be the same, nor would it have made such a huge dent on the established culture of the 2000s – to this day Hybrid Theory remains one of the best selling albums of the 21st century, a testament to the sheer numbers left unspoken for in the years leading up to its release. As time went on, the love affair waned. Though Meteora retained their urgency, arguably polishing Hybrid Theory’s many facets to sonic perfection, it didn’t quite capture the playground zeitgeist in the way its predecessor managed. By the time Minutes To Midnight came around in 2007, I was knee-deep in secondary school and teenagerhood, and Linkin Park’s direct influence had diminished – emo was here to help me deal with an incoming onslaught of mental health issues, and Linkin Park’s new softer direction bared little relation to my life. As the years continued on, the band descended into the comfortable old shoes of the pop groups they once acted as a protest against. With the benefit of hindsight, the signs of Chester’s struggle were always there. A childhood fraught with bullying and horrific sexual abuse led him straight onto a path of drug and alcohol misuse – one which he’d tread for the rest of his life. Even in Linkin Park’s earliest days, he hinted at troubles with depression and a desire for escape: I’m one step closer to the edge, and I’m about to break he famously squawked on Linkin Park’s debut single “One Step Closer”, while their most pervasive single “In The End” found him negging his every achievement – I tried so hard and got so far, but in the end, it doesn’t even matter. A listen to “Breaking The Habit” today feels like a chillingly close-to-the-bone insight into a struggle that would come to stalk him for the rest of his life. Chester Bennington’s legacy should far outweigh the tragedy at its end, though. In articulating the pains he suffered from, and screaming the words that so many of us still fail to muster, the Linkin Park frontman brought relief to a generation caught in transition, and helped countless downtrodden young kids realise the potential they held. Regardless of how he felt in 2000, nothing matters more than that.